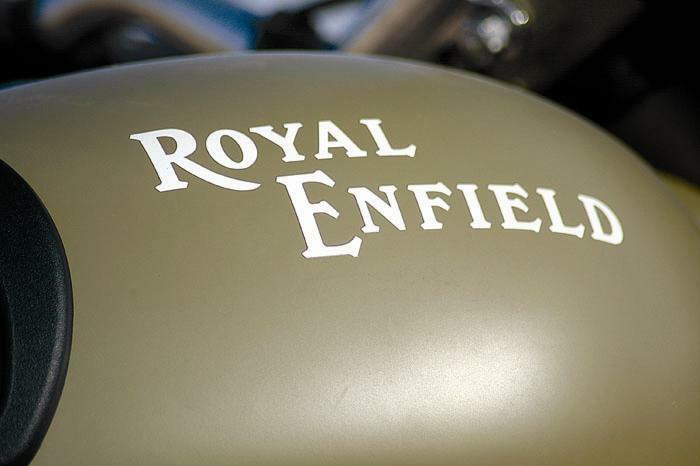 Royal Enfield said the waiting period for delivery of its bikes will come down after the commissioning of the Rs 150-crore plant coming up next year at Chennai. “There is a waiting period of 6-8 months on most of our models in states like Maharashtra, Kerala, Kolkata...with the new plant coming up in next year, the waiting period on our bikes will come down,” Royal Enfield (unit of Eicher Motors) Senior Vice-President (Sales & Marketing) Shaji Koshy told reporters here. In 2011, the company's sales in the state grew by almost 80 per cent over 2010, Koshy said. "This year we have already registered a growth of 70 per cent over the average monthly sales volume of 2011. To keep up with the growing demand we have expanded our footprints aggressively and we have 16 dealersacross Karnataka," he added. "So far we have sold 75,000 bikes and this fiscal we hope to cross one lakh sales figures," Padmanabhan said. Padmanabhan also announced the company's entry into the biking accessories market with a slew of apparel and biking gadgets, including leather and nylon jackets, helmets and gloves.